Most people know that a primary care provider is their number one doctor whom they go to for most anything. Once they see the primary care provider, it is this doctor that can then make recommendations to a specialist if necessary. For most illnesses and conditions, it is the primary care provider that is going to be able to provide medical attention, medication and treatment options. advisable that if a patient is feeling under the weather, has any form of prolonged illness, has an injury or simply needs an annual check-up to come see a primary medical doctor. A primary care provider can then provide the patient with the resources necessary to address the condition. 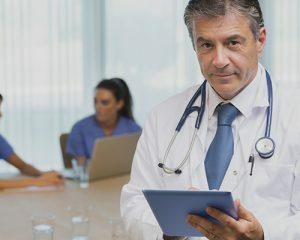 In most cases, the medical doctor is able to address the issues of the patient without having to refer them to surgical or medical specialty offices. Here are a few reasons to visit a primary care doctor. One of the major reasons people go in to see the doctor is because they are having issues with the respiratory system. Leading respiratory concerns include asthma, bronchitis, acute sinusitis and other acute respiratory infections that can require medical attention. Having a respiratory condition can be extremely frightening for most people. Thus, it is always a good idea to schedule a visit with the primary care provider if the patient is experiencing any kind of respiratory issues; especially for children. There are any number of diseases and conditions that can lead to respiratory problems. Going to see a primary care provider as soon as possible is highly recommended. Anybody who has ever suffered a severe headache or a migraine knows that relief requires treatment from a medical provider. 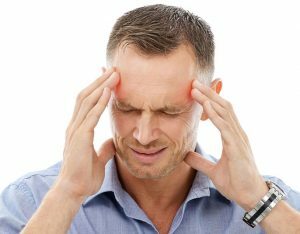 One of the leading causes for people to see a primary care specialist is because they are suffering from reoccurring headaches, severe headaches or migraines. This is a very good reason to schedule an appointment with the medical provider in order to find the relief. Sometimes migraines and severe headaches can be treated without the help of medication but, in most cases, require medical intervention. Another reason patients may want to schedule an appointment with their primary care doctor is blood pressure. Regardless of whether a patient is suffering from low or high blood pressure, it is an important condition that needs professional medical treatment as soon as possible. By and large, many people see their doctor because they suffer from high blood pressure, which can lead to a host of other issues. Blood pressure issues, particularly high blood pressure, can be a life-threatening condition. When a patient comes to see the doctor, one of the first things that the doctor will do is check the blood pressure levels, along with the temperature of the patient. Get help by visiting our clinic. Call or stop by today.